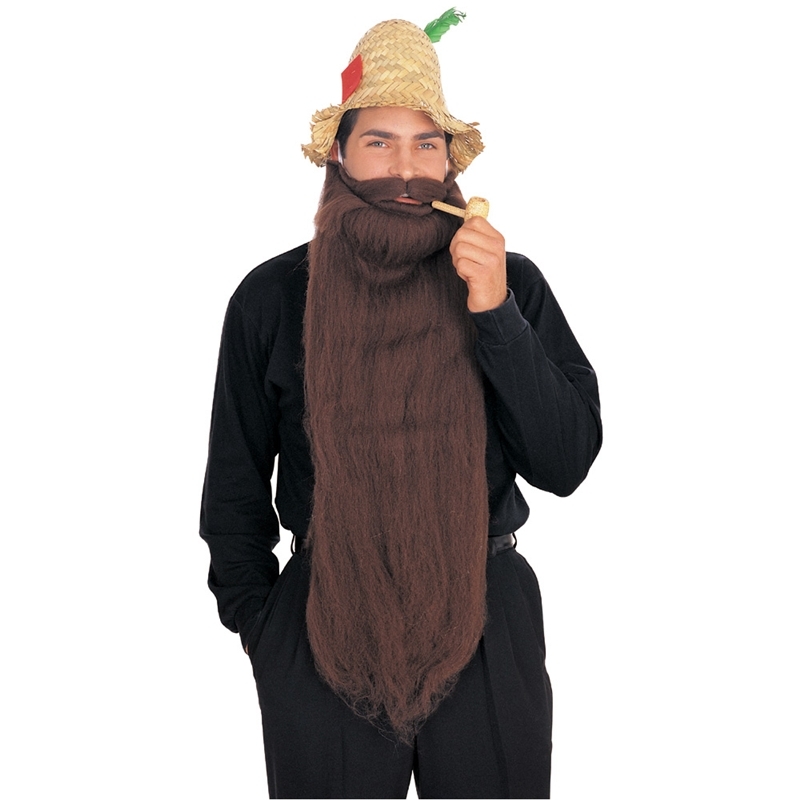 25" Brown Mohair Beard - Mohair 25 Inch Brown Beard - Long midwaist beard with mustache. Attached with elastic band worn around head. Easy wear and comfort.